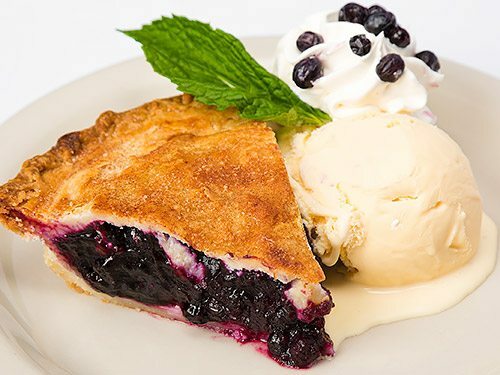 We can’t take our New England Bake off the menu! A 1 1/4 pound steamed lobster, steamers, mussels, cornbread, corn on the cob, buttered new potatoes, and a cup of homemade clam chowder. Sold by the pound. Served with broth and hot drawn butter. Sautéed in white wine, garlic and basil and served with garlic bread for dipping. Served with a maple & brown sugar glaze. Served hot by the 1/2 pound with Old Bay butter or cold with cocktail sauce and horseradish. Two Maine crab cakes served with a spicy roasted red pepper and garlic remoulade. 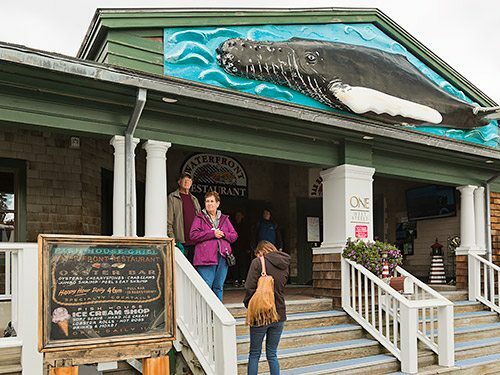 A Fish House original! 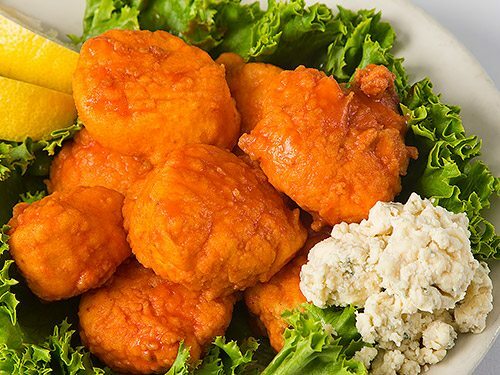 Shrimp or scallops lightly breaded and fried, then tossed with our own buffalo sauce. Available hot or mild. Hand-cut strips, breaded and fried. Served plain or buffalo style (mild or hot). Sushi grade tuna seared with sesame seeds and served with wasabi, soy sauce and pickled ginger. Hand cut to order, lightly breaded and fried. Served with marinara sauce for dipping. House made onion soup with melted cheese and croutons. A rich and flavorful homemade chowder. Our time honored recipe that packs all the flavor of lobster in a thick and creamy bisque. Topped with bleu cheese, onion, crumbled bacon, and a drizzle of balsamic glaze. Mixed greens with toasted almonds, red onion, dried cranberries, cucumber, and a blueberry balsamic dressing. Romaine, Parmesan cheese and croutons with Caesar dressing. 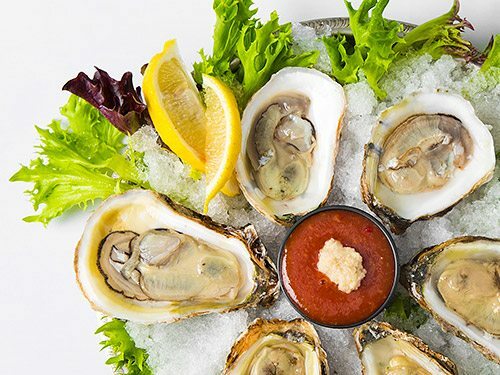 Consuming raw or undercooked seafood and shellfish may increase your risk for foodborne illness, especially if you have certain medical conditions. Two of each of the following: Cherrystones, Oysters, Stone Crab Claws, Lobster Claws and Jumbo Shrimp. 5 jumbo shrimp chilled and served with cocktail sauce. Raw or steamed on the half shell. Served on the half shell with white wine, diced peppers, bacon and Parmesan, topped with Italian bread crumbs. Served by the pound, hot or cold. 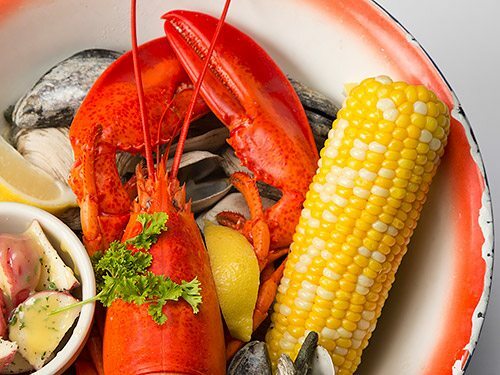 Lobster entrees come with cornbread, corn on the cob and buttered new potatoes. 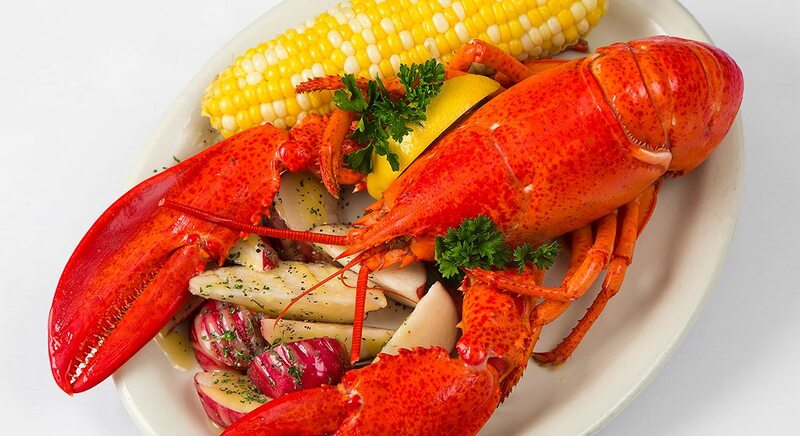 1 1/4 pound steamed lobster served with hot drawn butter (Single or Twin). A 1 1/4 pound steamed lobster, steamers, mussels and a cup of homemade clam chowder. 1 1/4 pound lobster served with a cup of our homemade clam chowder. Served with drawn butter. 1 1/4 pound lobster with a pound of fresh Maine steamers. Served served with drawn butter. 1 1/4 lobster stuffed with our homemade seafood stuffing. All the succulent lobster meat from a 1 1/4 pound lobster in a lemon butter sauce. 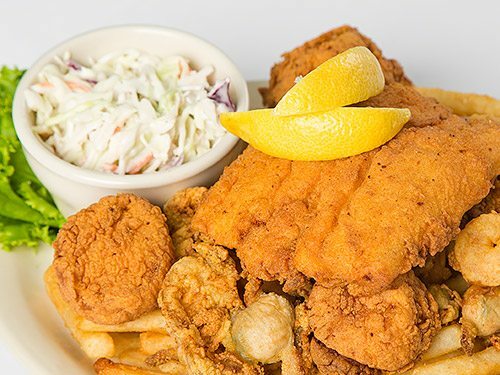 Served with cornbread, French fries and coleslaw. Sweet and tender whole belly clams lightly fried. Fresh local caught haddock fried to a golden brown. Petite and sweet shrimp lightly fried to a golden brown. Lightly fried to a deep golden brown. A combo of everything! Plenty to please our hungriest customer. Served with your choice of rice pilaf or buttered new potato, seasonal vegetable and cornbread. A house specialty! Cherrystone clams, mussels, shrimp, scallops and lobster meat simmered in a spicy marinara, topped with parmesan. Served over linguine. Fresh cherrystone clams sautéed in garlic, olive oil, clam broth, fresh parsley and crushed red pepper. Served over linguine. Half a Maine lobster tail, lobster claw, shrimp and scallops grilled with herb and lemon butter. Jumbo local scallops pan seared and served with a herb and lemon butter. One pound of stone crab claws coupled with one pound of snow crab cluster. Fresh Maine crab with mayonnaise, spices and bread crumbs and served with a spicy remoulade. Locally caught, dusted with seasoned bread crumbs and pan fried. Served with a lemon and dill aioli. 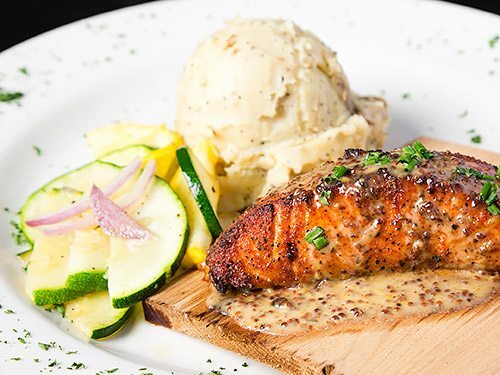 Atlantic Salmon fillet roasted on a cedar plank covered with a house made rub and topped with a maple and thyme glaze. Fresh Atlantic Salmon grilled or blackened and served with a mango and pineapple salsa. Fresh local haddock with our seafood stuffing and topped with lobster bisque. Fresh broccoli, onions, mushrooms, carrots and roasted red peppers tossed with fresh herbs, garlic and Parmesan cream over linguini. 16 oz. cut grilled to your liking, topped with a Gorgonzola compound butter. Roasted low and slow and topped with a sweet and tangy BBQ sauce. 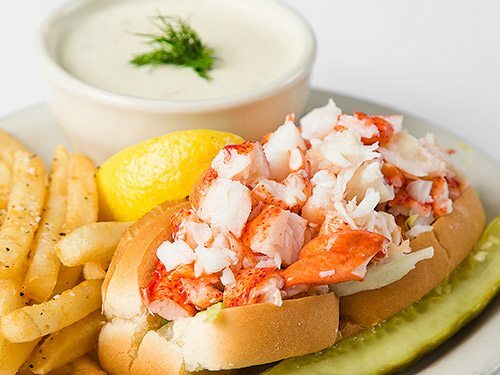 Fresh picked Maine lobster tossed with light mayo and served on a grilled bun. Deep fried shrimp in our buffalo sauce with blue cheese dressing, lettuce and tomato. Pan seared and served on a grilled roll with lettuce and spicy remoulade. Fried shrimp on a grilled hoagie roll with coleslaw & tomatoes topped with a spicy remoulade. 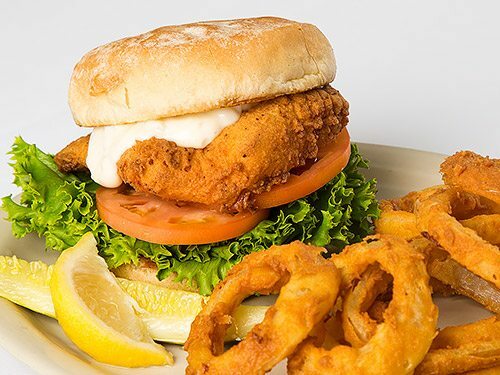 Served fried or blackened with lettuce and tartar sauce on a toasted bun. Fresh mozzarella slightly melted with tomato, fresh basil, and a drizzle of olive oil and balsamic glaze. Shaved steak, onions, peppers, mushrooms and melted cheese on a grilled hoagie roll. Blackened haddock, lettuce, tomato, shredded cheese and fresh mango and pineapple salsa on a grilled tortilla. Topped with cheddar cheese, bacon, lettuce, tomato, onion and roasted red pepper and garlic sauce served on a grilled bun. Thick cut bacon, crisp lettuce, fresh tomato and mayo served on grilled sourdough. Our 8 oz. Angus beef patty with lettuce, tomato, onion and your choice of cheese. All kids meals come with a drink, and gold fish crackers, plus your choice of French fries, chips or vegetable of the day. (Children 10 and under only, please). Complete your feast with any of these delicious hearty additions.